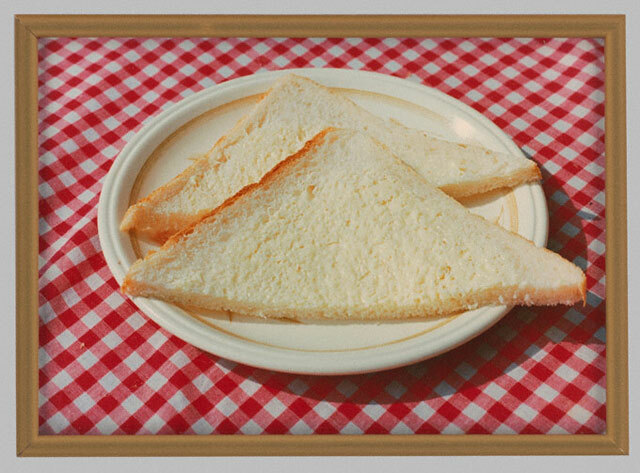 Picturing Food: A New Social Art? If you thought photography, art, food, or social media were rich topics, imagine a conversation tackling all of these at once! Drop your fork! I need to take a picture! Perhaps you’ve heard this exclamation, followed by the snap of a camera, while dining at a restaurant or sitting down to a home-cooked meal. Maybe you have even said it yourself, or spent time scrolling through photos of other people’s dinners on food blogs and Flickr groups like I Ate This. In this era of growing obsession with documenting and sharing our food online, what do our photographs say about us? 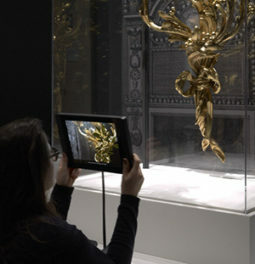 And how might they compare to those displayed in an art museum? On a recent evening at the Getty Center, art and food world luminaries—and a full-house audience—met to consider these questions alongside images from the Getty’s current exhibition In Focus: Tasteful Pictures, which features the delicious buttered bread featured above. If you thought photography, art, food, or social media were rich topics, imagine a conversation tackling all of these at once! In preparation for the event, moderator Evan Kleiman of KCRW’s Good Food met with panelists Darra Goldstein, founding editor of Gastronomica, Maite Gomez-Rejón of Artbites, and photographer Charlie Grosso to view the works in the exhibition. Spanning the mid-19th century to today, the photographs offer a taste of everything from fruit staged in the studio to a hunting scene, groceries sold in the streets and supermarket, and even a carton of ice cream stuffed in a freezer. 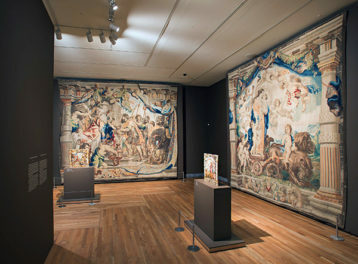 Conversation was lively as the panelists walked through the gallery and encountered images both enticing and provocative. Kleiman, chef and owner of LA’s Angeli Caffe, was especially drawn to Paul Wolff’s Plate of Noodles with Fork, wondering aloud who had made those impressive-looking strands of pasta. 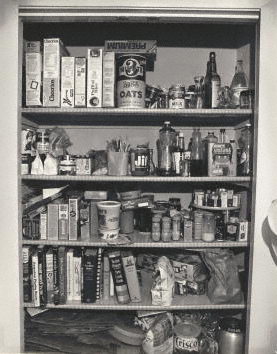 Other works that captured their attention included Weegee’s Bagels, Second Avenue, an intriguing picture of a delivery man at once “jovial” and “menacing,” and Bill Owens’s Untitled (Joy of Cooking), a photograph of a pantry that instantly invites comparison to one’s own ingredients and cookbooks at home. Meanwhile, it was Taryn Simon’s thought-provoking “global still life” of foods confiscated at JFK International Airport that every panelist wanted for her own art collection. And then it was time for the panelists to share their thoughts with a wider audience. Woven throughout their discussion was a comparison to our own culture of food photography shared on blogs, Flickr, and other digital forums. Just the day before, the New York Times had published an article entitled First Camera, Then Fork, which brought attention to the growing phenomenon of people documenting their meals. Kleiman referenced it throughout the talk, bridging the worlds of fine art and popular culture. What do you think? When are images of food “just food,” and when are they something more? Does contemporary food blog photography continue the artistic tradition, or is it something else entirely? 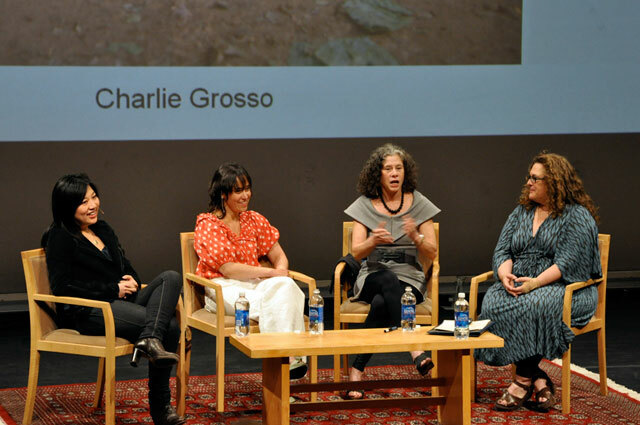 The Picturing Food panel was organized by the J. Paul Getty Museum and Zócalo Public Square. For video and audio of the event, visit zocalopublicsquare.org. I work on the Getty Conservation Institute's AATA Online, helping to make conservation information available to people worldwide. 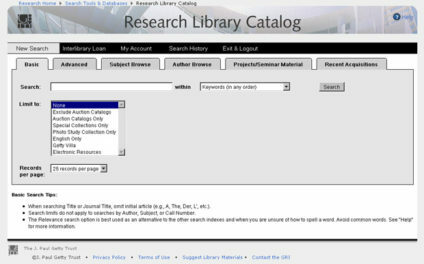 In my Getty career, I have also been an editor of the Bibliography of the History of Art and a Research Library assistant. When I'm not immersed in the world of art and information, I love to cook, eat, and write about food and explore the mountains, beaches, and deserts of Southern California.